On July 11th, 2015, the gaming industry lost a figurehead as unique as the company he led. 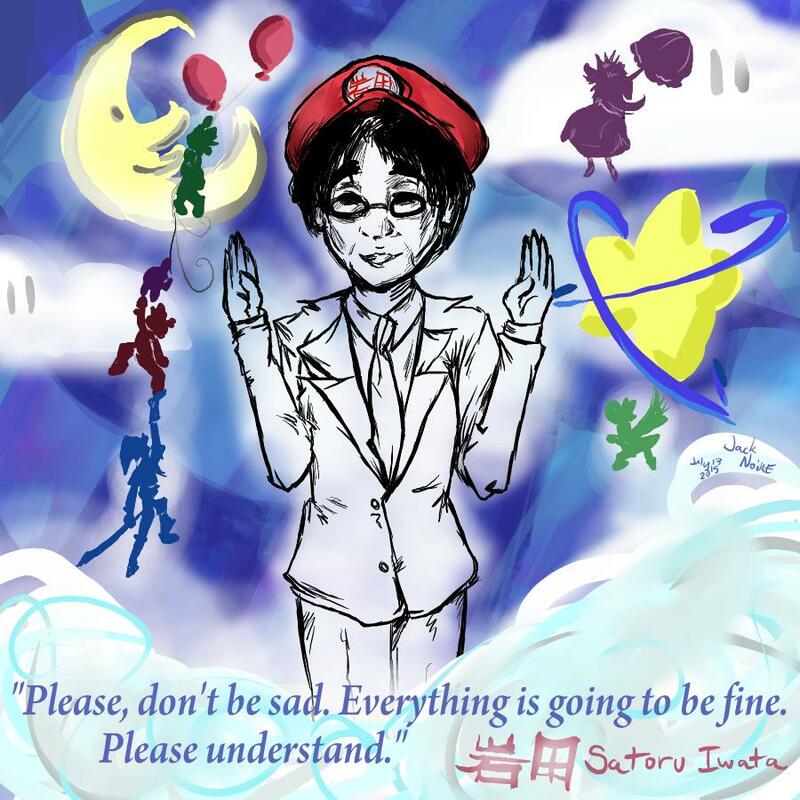 Satoru Iwata, global President of Nintendo from the Gamecube era to Wii U, died from complications of a bile duct growth. Iwata’s legacy began even before his presidency at Nintendo. The 1982 graduate of the Tokyo Institute of Technology had a high school career filled with programming simple games for business calculators. In 1983, he joined Hal Laboratory, which is most famously known for developing the Kirby series. In his own words, he heard the news that Nintendo was developing a fun new gaming console, known as the Famicom. “I visited Nintendo and told them, ‘I think I could program Famicom games, so please let me program for the Famicom.’ [Without ever trying,]…Because [I] thought I could make them.” His passion and excitement for gaming eventually carried him to the role of president of HAL Laboratories in 1993. In the following years, Satoru Iwata had a heavy hand in programming some of the most memorable Nintendo games. By compressing the size of Pokemon sequels, Gold and Silver, he made room to include the old world of the original three games, which previously seemed impossible. Additionally, “S. Iwata” can be seen during the lightning-fast credit sequence in Kirby’s Dream Land as a “programmer” and in the “Special Thanks” section for a majority of the Game Boy’s lineup. Nintendo named Iwata president in 2002 as gaming became more cutting edge. This ushered the company into the Gamecube and Game Boy Advance generation. As Executive Producer, Satoru Iwata continued to exercise his programming skills and love of the company above all else. When unexpected complications plagued beloved Gamecube game, Super Smash Bros. Melee, Iwata spent his available hours aiding in beta-testing to ensure a proper release. His risk taking and sacrifices ensured an enjoyable and accessible product for consumers. Even while experiencing challenges at the helm of the company, Iwata found ways to rise to the occasion. When Nintendo received backlash for appealing mostly to a younger audience, Iwata saw it as a blessing, given children’s ability to enjoy themselves instinctually without judgment. Iwata even cut his salary in half to avoid laying-off employees in the face of lagging Wii U and 3DS sales. This consistent sacrifice illustrated Iwata’s business philosophy and desire to support and represent the passion that defined Nintendo as a whole. Iwata is most known for his appearances on the exclusive Nintendo Direct videos, which provide promotional updates and news about upcoming and recently released games. Despite appearances from other more approachable personalities, such as Nintendo of America executive Reggie Fils-Aimé, Iwata still managed to become a staple of the online press conferences. We owe our thanks to Iwata-san in this rapidly expanding technological age. His passing does not mark the end of an era, instead, it signals a new beginning.